Supermassive black holes are located in the centre of large galaxies. These black holes are millions of times larger than our own sun, and sustain their existence by ‘feeding’ off the gases around them. This activity can be observed using space telescopes, and is characterized as bright emissions, including x-rays, emanating from the innermost part of the disc surrounding the black hole. 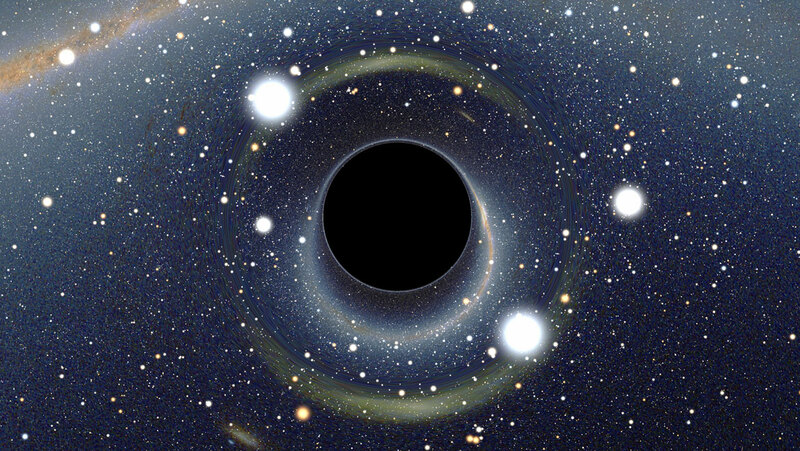 Sometimes though, these black holes take in too much gas, and the result is the release of ultra-fast winds. Astronomers have been studying these winds in the hope of gaining a better understanding of how this influences the growth of the galaxy surrounding the black hole. By clearing the surrounding gas away through these winds, the black hole can effectively supress the birth of stars. For this particular study, astronomers used the European Space Agency’s XXM-Newton and NASA’s NuSTAR telescopes to focus on the activity of a black hole in an active galaxy known as IRAS 13224-3809. Winds at speeds of up to 71,000 km/s, or a quarter of the speed of light were observed. This is within the top 5% of winds recorded emanating from black holes. These winds released by supermassive black holes have never been studied in such detail over a short space of time. The XMM-Newton telescope was focused on the same black hole for 17 days in a row. As a result, researchers were able to gain a much better insight into the variable nature of these winds.